The people have had their say: The UK will quit the 28-nation European Union. Push finally came to shove and voters decided the risk of leaving the EU was a risk worth taking. Brexit’s Trump-like central message — “Put Our Own People First” — will resonate across Europe as mostly far-right politicians follow its lead. 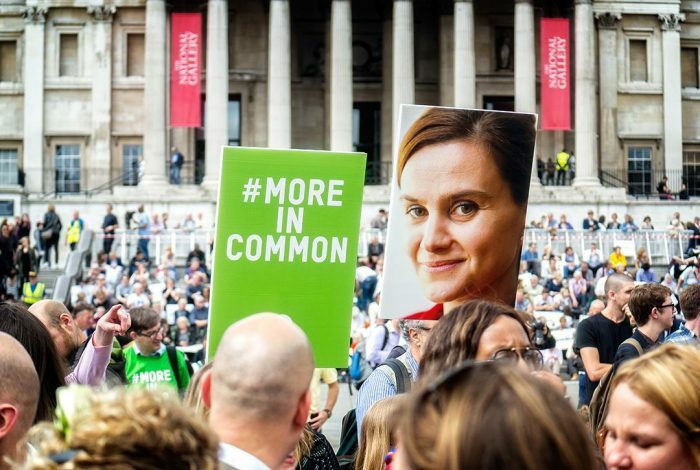 Campaigning was suspended for three days in its final week after the brutal murder of Jo Cox — a young Member of Parliament on a crusade to keep the UK in the EU. Her death failed to influence the outcome. The Brexit vote is a momentous event for global stock markets and a reality check for the political elites in London, Brussels and other EU capitals. The UK’s “Out” vote reflects a critical mass of loathing for mainstream political parties, business and media elites. Millions of alienated British citizens — ignoring dire warnings of economic depression and the sheer peril of the unknown — voted to abandon membership in the European Union. An idea considered crazy when first launched over two decades ago carried the day. Working-class voters were drawn to the “Leave” camp because it presented a rare opportunity to strike back at a system that has created the worst income inequality since the 1930s. The release of the Panama Papers in April marked a turning point in the run-up to the EU Referendum. The more Prime Minister David Cameron, chief supporter of the “Remain” camp, dodged questions about his own global offshore holdings — earning him the nickname “Dodgy Dave” — the more it fueled support for Brexit. Many Brits ceased to believe a word coming out of Cameron’s mouth no matter how many times he said a Brexit would increase taxes, threaten pensions and reduce funding for the National Health Service (NHS). Likewise, the Bank of England told UK citizens they would be poorer if they pushed their country out of the EU. They were joined by the International Monetary Fund and a chorus of talking-head experts. On Friday morning, Cameron announced that he would step down by October. 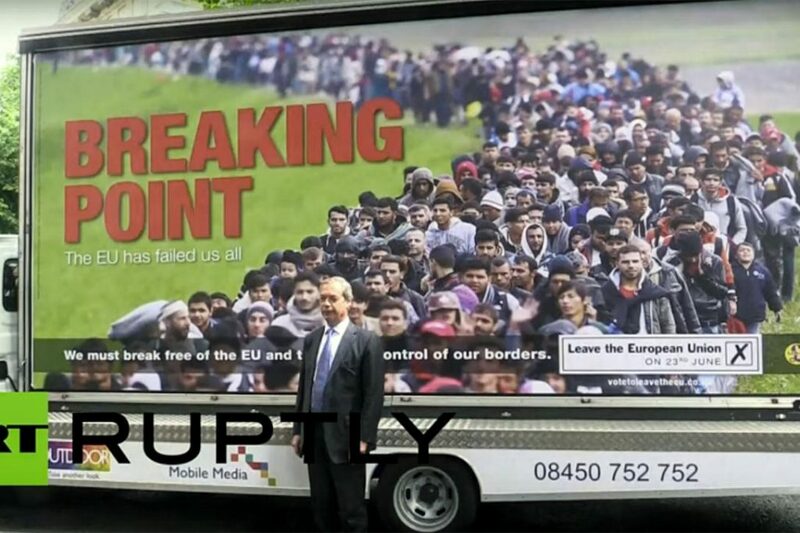 The far-right’s anti-immigrant campaign ultimately overshadowed the anger of working-class voters and the angst about British sovereignty. Nigel Farage’s UK Independence Party (UKIP), previously on the fringe, has become a major force in British politics. “It’s immigration, stupid. This is the issue. The real issue,” pro-Brexit MP Peter Bone told Politico. Poll results suggested that immigration was the No. 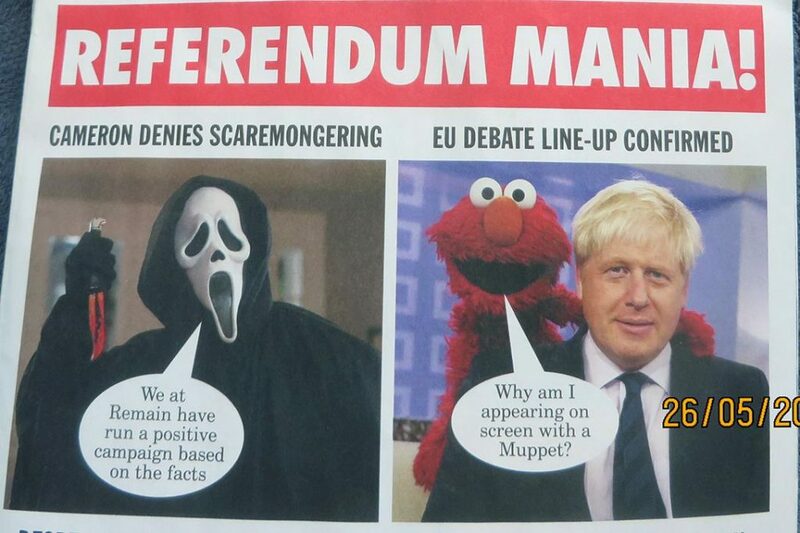 1 issue for voters. 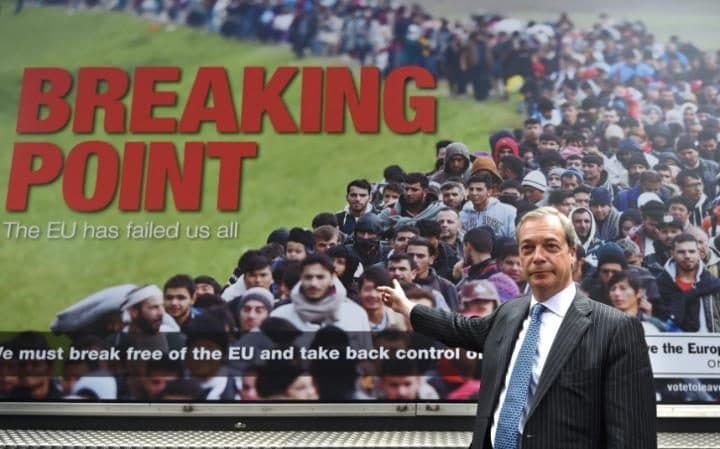 Much like Trump ranting about Mexican rapists, Farage regularly evoked the “security of women.” The threat of sexual assaults by migrants was, according to him, the “nuclear bomb” of the EU referendum. Meanwhile, Leave.eu, a pro-Brexit splinter group, was comparing both refugees and LGBT people to vicious snakes in one of its videos, which included a reading by Trump. 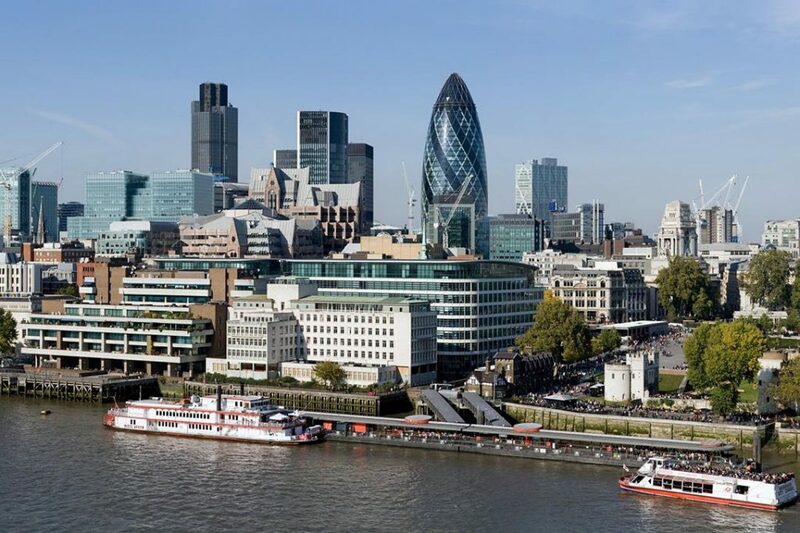 For the UK’s financial sector, Europe’s largest, Brexit will be a short-term shock but with the UK outside the EU, it will enlarge upon its already leading role as a business and tax haven for the world’s superrich. Headquartered in a small area of central London, the UK’s financial hub actually has its own jurisdiction, The City of London Corporation, more often referred to as the City of London or just the City. David Cameron used the EU referendum to squeeze concessions from the EU for the City and promote its deregulatory agenda. It was British lobbying that sank the European Union financial transactions tax and watered down bank regulations designed to avoid a financial crisis of the kind that brought the world economy to it knees in 2008. At this point, Brexit looks more like the beginning than the end of populist revolt in the European Union. The Leave victory in the UK’s referendum could trigger the process of EU disintegration. In other EU countries, political outsiders, mostly from the far right, are drawing inspiration from Brexit. Both The Netherlands and France face elections in a few months that will include popular far-right parties. Both countries rejected the EU constitution in 2005 (later adopted as the 2007 Lisbon Treaty). Brexit has shown the way. The European Union is not too big to fail.